The Editorial Board had scolded Joe Crowley for having skipped debates, and for having sent a surrogate to do his job. On Tuesday, U.S. Rep. Joseph Crowley (Establishment-NY) was censured by the Editorial Board of the New York Times for having skipped debates against his Democratic Party primary election rival, Alexandria Ocasio-Cortez, and for having once sent a surrogate to a debate in his stead. Ocasio-Cortez is challenging Congressmember Crowley, who also serves as chair of Queens Democratic Party county committee, in the June 26 primary for the 14th New York Congressional District that he’s represented for nearly two decades now. In the lead-up to the publication of the editorial, the normally entitled and image-conscious Hon. Crowley was being shamed all over the Twitter social media network by an emboldened legion of critics, who have, for the first time in decades, found allies in the form of his rival’s supporters to give voice to a festering, high-grade disappointment in the incumbent Congressmember. 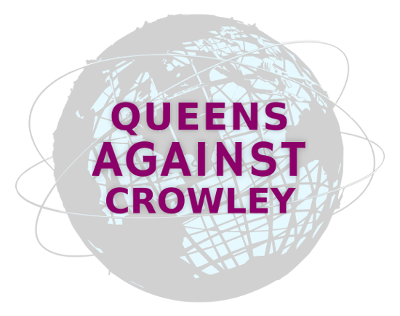 Due to a culture of retaliation that permeates Queens County politics, given the tight control with which U.S. Rep. Crowley administers the Queens political machine that he heads, the dissent and disapproval that have been expressed over Twitter prior to and following the publication of the Times’s editorial was giving rise to something more serious than just a mere rejection of U.S. Rep. Crowley’s neoliberal political record. Finally, the public was talking about how a Congressmember for almost 20 years thought nothing of violating democratic functions of important civic processes. In other words, the Queens County boss was caught acting like your typical, third-rate corrupt party boss. 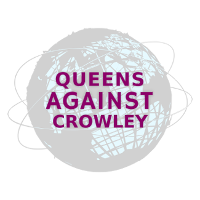 After such a public shaming, U.S. Rep. Crowley, with his stubby, little tail between his legs, sheepishly let it be known that he would be conditionally attending tonight’s final community debate, in Jackson Heights, Queens. One will see if U.S. Rep. Crowley keeps his word.